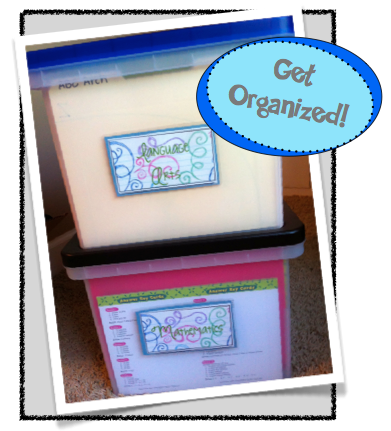 ahorasoyuncronopio: How do you get organized? Next, I want to share a mild accomplishment: I have recently completed a task that I have been putting off for a long time. By "long time," I mean a good, solid six months or so of procrastination. Earlier in the school year, I spent quite some time debating on the best way to organize classroom materials. As I'm sure you other teachers can understand, I experienced mixed feelings toward the wave of Common Core change in our school. 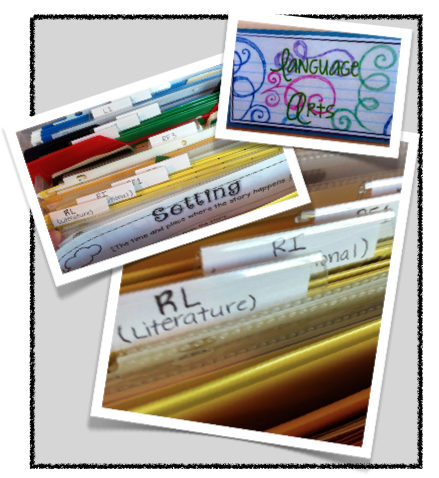 I love finding new ideas and activities to use, but oh my goodness, how do I mingle those awesome, new resources with the still-usable materials in my classroom?!? When I finally decided on a sufficient method for organizing those millions of extra resources, center ideas, samples, and other activities that we teachers accumulate, I spent several months thinking "I will tackle that project during the summer." 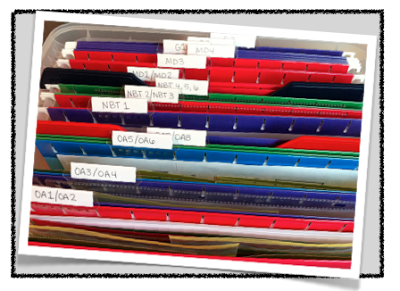 I bought the plastic file boxes and the hanging folders I intended to use. They sat there, waiting, for months, while I was certain I would be able to find a good burst of motivation during the summer. Motivation? Eh. Not so much. Enter: landscaping, reading, cleaning, organizing, getting settled into our still-newlywed home, experimenting with new recipes in the kitchen, traveling, spending much-needed time with family and friends... you get the idea. Eventually, I will need to expand files within the skills to be more specific. There are a few strands that are rather bulky and could use a bit of organization-within-the-organization (Who's thinking of Monica from Friends right about now?). Still, I think I'm off to a good start so far. Woo hoo! What do you think? 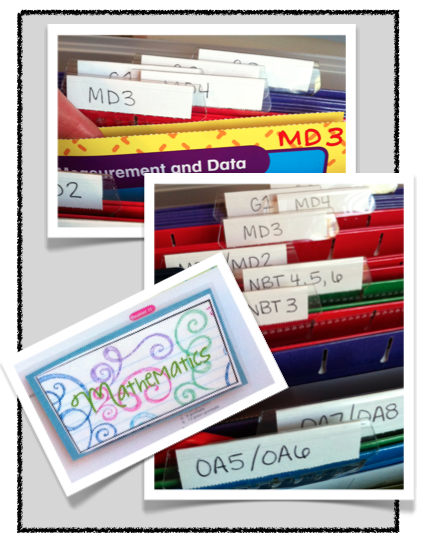 How do you organize your materials?